​Due to fluctuating demand and intense regulations, overseeing a facility in today’s complex market requires that decision-makers, like managers and engineers, have a continuous stream of current information. As an up-and-coming online ceramics, glass & cement processing news magazine, the goal of this site is to arm professionals with the knowledge needed to operate a safe and efficient facility. ​Remain up to date on global matters and news in the Ceramics, Glass & Cement industries. Information on advances in technology and production techniques are available throughout this site, to assist decision-makers in analysing potential cost-saving opportunities. With a focus on solutions to both the common and complex problems that industry professionals face, unique and helpful products will also be showcased. Ceramics, glass & cement manufacturing news from around the world will be featured in various articles, enabling those who oversee facilities to remain abreast of important developments. With various agencies keeping an eye on how facilities are managed, it’s essential to have a deep understanding of numerous policies, rules, and guidelines. This is especially true with safety and environmental concerns. Data on regulatory changes, as well as potential enactments, will be available to enable facilities to become compliant or use forward-thinking strategies to implement new policies smoothly in advance. 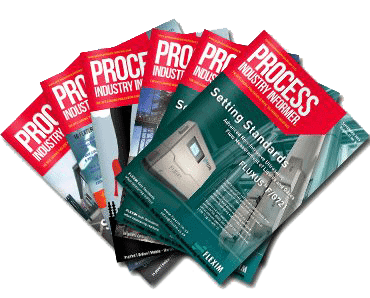 Read about a variety of issues that impact facility operations. For quick access to ceramics, glass & cement processing news anytime, be sure to bookmark this page. To remain in-the-know, please take a moment to bookmark this site and check back often to read about developments as they occur. Articles will be added regularly, to ensure content is fresh, timely, and relevant. The archives will also be filled as time progresses, enabling this emerging site to provide a wealth of easily-searched information on numerous topics that impact facility operations and those who oversee them.